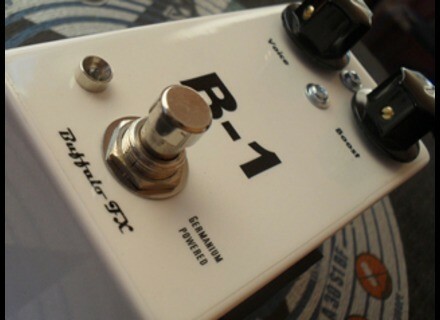 B1, Guitar/Bass booster from Buffalo FX. 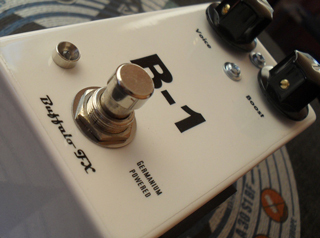 Buffalo FX present the new B1 Germanium Booster. Based on the classic 60’s circuit, the B1 features the traditional boost control and also a linear voice control designed to allow for more tonal range than a traditional rangemaster type pedal. Fender George Benson Signature Hot Rod Deluxe Fender announces the release of the GB Hot Rod Deluxe combo and 112 Enclosure, designed with jazz guitarist George Benson. Vibro-King 20th Anniversary Edition Amps Fender introduces its Vibro-King 20th Anniversary Edition amps. Morgan Monroe Quilted Ash Morgan Monroe is now shipping the Quilted Ash.